SINGAPORE- A small developer trumped some of the property game’s bigger guns to top a spirited 16-way contest over a plum plot near Aljunied MRT. SL (Serangoon), a unit of Sustained Land, aced the crowded field with an unexpectedly high bid of $145.9 million for the compact site at Geylang East Avenue 1. That translates to a price of $776 per sq ft (psf) per plot ratio (ppr) – well above market expectations of up to $650 psf ppr. Consultants said its small size meant it was more affordable, which likely prompted many smaller developers to try their luck. “Previously, small developers had to team up in order to bid for the larger sites,” said OrangeTee research head Christine Li. R’ST Research director Ong Kah Seng said developers could be willing to bid bullishly just to secure a plot, and were less focused on making fat profit margins. State land tenders for small plots have been few and far between in recent years. 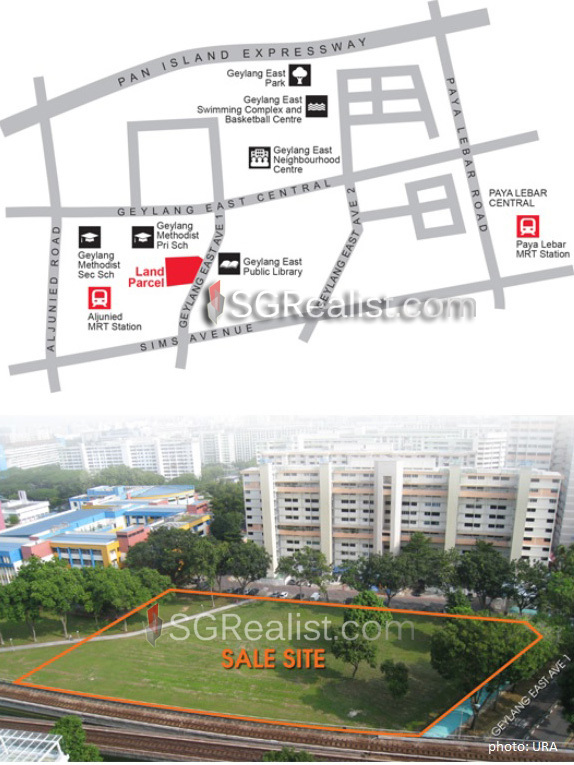 The last one with a gross floor area of less than 20,000 sq m – or around 215,000 sq ft – attracted 23 bids, said Ms Li. That was for a 109,478 sq ft site in Jalan Jurong Kechil in November 2012 that has been developed into The Hillford. Sustained Land’s bid was just 2 per cent more than the second-highest offer of $759 psf ppr, lodged by a tie-up between Far East Organisation unit Tannery Holdings and Sekisui House. Alliance Homes placed the lowest bid of $555 psf ppr. Sustained Land is controlled by Mr Douglas Ong Pang Chye, who told The Straits Times by phone yesterday that he was interested in the site because of its good location near the Aljunied MRT station. He said he was unfazed by the weakness of the Singapore residential property market. “Provided the Government doesn’t have any more cooling measures, if it’s a good site, it should be okay,” he added. The plot was put on the Government Land Sales reserve list in May last year and was triggered for sale in December. That was after an unnamed developer promised to bid at least $95 million or about $505 psf ppr. Consultants estimate that the development’s break-even cost could be $1,230 psf to $1,300 psf, with selling prices about $1,420 psf.